A 1 m long post lying on its back, alongside Meer Stone 28. A founder stone, it is known that Josia Morley and Co. of Giggleswick held 10 meers on the Turf Pit vein in 1780 when they were involved in a dispute after driving a drift outside their area, but their holding is marked on the 1781 Brailsford survey as being 250 m to the east. Another Morley stone can be found on the same vein, and the two stones appear to mark the north-west and south-east corners of land marked as being leased to Swale and Company on the Brailsford 1781 map. 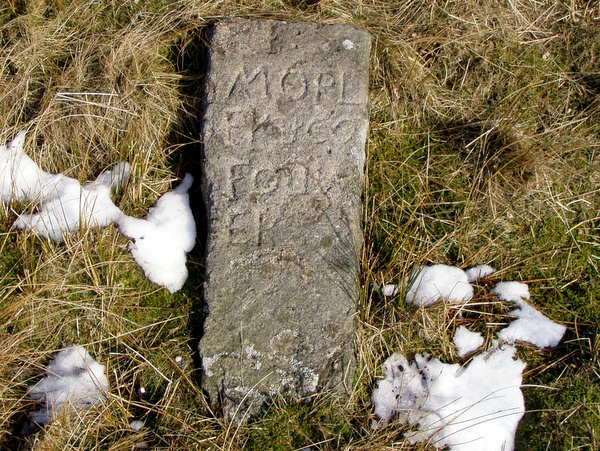 A photograph of this stone also be found in Arthur Raistrick's "Lead Mining in the Mid-Pennines".